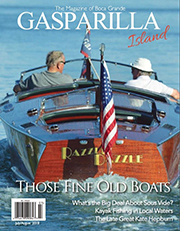 BY CARROLL SWAYZE – Excitement is brewing as anglers and artists alike prepare for the 2015 Tarpon Festival in downtown Boca Grande on June 4 through 6. 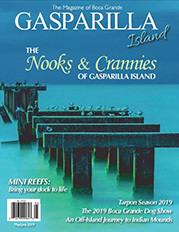 Each year thousands of people travel to the Englewood/Boca Grande community from all over the world to take part in this annual Tarpon Fishing Tournament and Festival. The week centers around two world-class fishing tournaments and a world-class art show, the Boca Grande Invitational Art Festival. 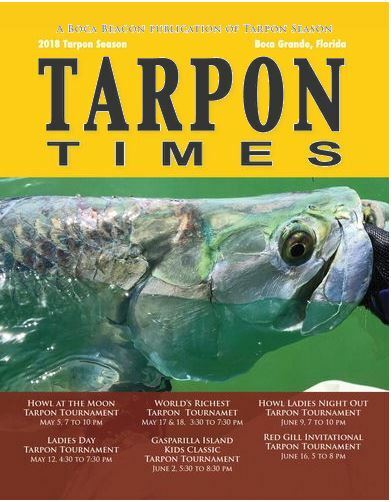 The 2015 “World’s Richest” Tarpon Tournament returns to the island on Thursday and Friday, June 4 and 5, for the 33rd anniversary of this island tradition. Sponsored by the Boca Grande Area Chamber of Commerce, this renowned fishing tournament attracts anglers from all over the world who travel to Southwest Florida to compete for thousands of dollars and the chance to catch the greatest prize in the game fishing community – the giant Silver King! Sport Fishing, education and conservation of the fishery combine to make this one of the most notable fishing tournaments in the country. 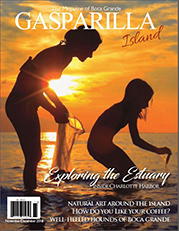 The 2015 Gasparilla Island Kids Classic Tarpon Tournament is Saturday, June 6 with fishing from 5 to 8 p.m. Dubbed the “Worlds Greatest Kids Fishing Tournament,” this catch-and-release event promotes conservation in a fun atmosphere where children have a chance to catch one of the toughest game fish in the ocean, all while helping other children. 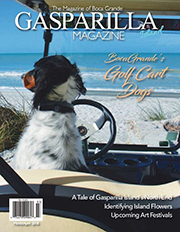 The tournament is sponsored by Boca Grande Charities, and tournament entry fees are donated to charities that support children’s medical needs, such as Moffitt Cancers Centers “Family First” Program, the All Children’s Hospital Music Therapy Program and Lemon Bay Conservancy’s Juvenile Tarpon Research Initiative STEM (Science, Technology, Engineering & Math) Camp. This year’s Tarpon Festival will be more exciting than ever as Guy Harvey, one of the world’s finest marine painters, is this year’s featured artist. Harvey is well known for his work with organizations worldwide to help manage and protect the planets fisheries. We are very lucky to be able to host him at the festival in the fact that he not only designed the posters and the tournament shirts, he will also be here in person at the Boca Grande Chamber of Commerce booth, signing autographs and talking about his work with the Guy Harvey Research Institute. World-class art is a big part of Tarpon Week. 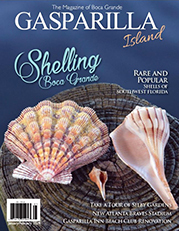 I have worked hard all year to find a collection of the planet’s best marine, nature and wildlife artists and craftsmen to bring their work to the island for the festival. It was a little more challenging this year because of the June date, but I’m proud to say that I have a beautiful show in store for the community. It’s going to be an exciting week! 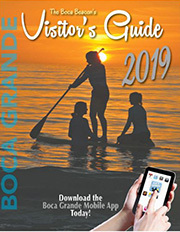 The 4th Annual Boca Grande Invitational Art Festival anchors the Tarpon Festival in the heart of historic Boca Grande on Friday and Saturday, June 5 and 6 from 10 a.m. to 6 p.m. The list of artists is impressive. Forty-five of the nation’s top award-winning artists will be featured in this art event and every media will be represented. 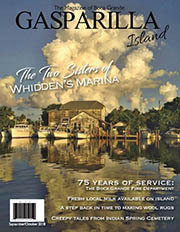 Boca Grande and the island’s ambiance have inspired many of the festival artists to create work that reflects the atmosphere of island life. The festival is a premiere art-collecting opportunity for local homeowners and visitors, as well as being a great way to spend a day relaxing and enjoying art in a casual island setting. We look forward to the tarpon rolling in Boca Grande pass every year, and fishing is a big part of our family heritage. I am working on two new tarpon paintings for the Tarpon Festival. This year I am truly inspired. After a lifetime of watching the tarpon roll and jump and drawing on deck while others fished, I finally caught one. My wonderful son, Capt. Shannon Hoeckel, (shortdriftcharters.com) took me fishing for Mother’s Day and it was incredible. We left the dock around 7 p.m. and the water was like glass. The foggy sky and the Pass were the same color, it was hard to tell where they met. It was beautiful. The tarpon were rolling everywhere, you could hear them gulping shrimp and crabs as they moved gracefully through the water and the bite was on. There is nothing like hooking a giant Silver King, one of the strongest game fish in the world. By the end of the night I was exhausted. We had jumped eight fish and I had caught one, and now I’m hooked. All I can say is, wow! The Tarpon Festival will feature, along with the Art Festival, live music on the stage all day and into the evening, local folks providing delicious food, and a beer and wine café sponsored by Budweiser set up near the stage for thirsty festival-goers. 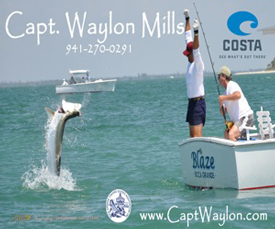 For more information about the World’s Richest Tarpon Tournament please call Lew Hastings at the Boca Grande Chamber of Commerce, 964-0568, or visit the website at worldsrichesttarpon.com. 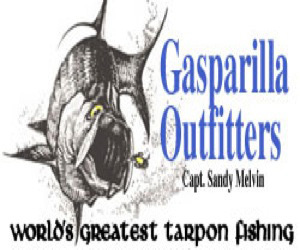 For more information about the Gasparilla Island Kids Classic Tarpon Tournament contact Capt. 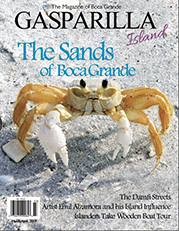 Sandy Melvin at 964-0907 or visit the website at gasparillaislandkidsclassic.com. 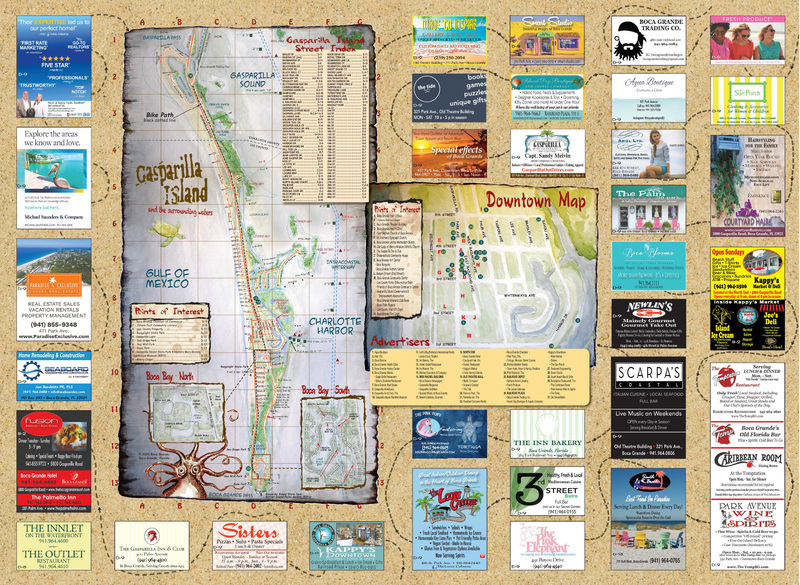 Carroll Swayze is the coordinator of the Boca Grande Invitational Art Festival, and works with the Boca Grande Area Chamber of Commerce on the event.